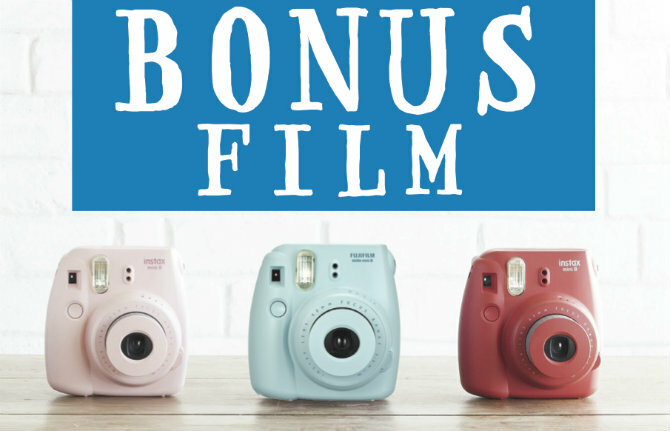 Get Your Bonus instax Mini Film Today! Begin your photography journey with a brand new instax mini 8 camera! The best part is, now through 30 April you’ll get a 10 sheet pack of instax mini film with your mini 8 purchase! First, be sure to check for participating retailers, and note that this promotion only applies to the instax mini 8 or instax mini 8 camera bundle packs. The promotion is limited to one 10 sheet pack of white-framed instax mini film per instax mini 8 purchase. Your bonus film must be claimed from the cashier at the time of purchase. And finally, the offer is subject to availability and is not available in conjunction with any other offer, promotion or discount. So don’t wait — get your instax mini 8 camera and bonus instax mini film today!